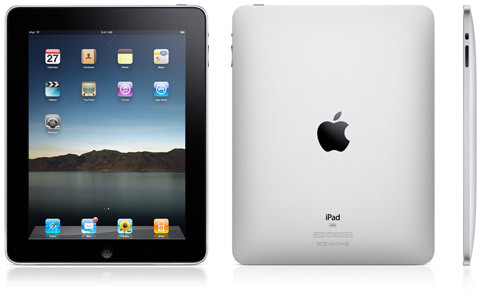 Apple will announce international pricing for the iPad and begin taking online pre-orders on Monday, May 10th 2010. Both iPad models will be released in Australia, Canada, France, Germany, Italy, Japan, Spain, Switzerland and the UK. Buy online from Apple.com, Apple retail stores and also from Apple Authorized Resellers including Amazon.com and Best Buy stores. DataPlus: 200 megabytes (MB) $15 per month. If customers exceed 200 MB in a monthly billing cycle, they will receive an additional 200 MB of data usage for $15 for use in the cycle. DataPro: 2 gigabytes (GB) of data for $25 per month. If a customer exceed 2 GB during a billing cycle, they will receive an additional 1 GB of data for $10 for use in the cycle. Tethering: $20 per month in addition to the DataPro plan fee. Smartphone customers including iPhone customers – who choose the DataPro plan have the option to add tethering . Tethering for iPhones will be available when Apple releases iPhone OS 4 this summer. So basically new iPad customers get the $25 per month 2 GB plan which will replace the existing $29.99 unlimited plan. iPad customers will continue to pre-pay for their wireless data plan and no contract is required. Existing iPad customers who have the $29.99 per month unlimited plan can keep that plan or switch to the new $25 per month plan with 2 GB of data. More details in the ATT press release. Note: Activating your 3G plan is super simple and can be done easily using a credit card from the iPad itself, without needing to call AT&T directly. Just fill in your payment info and pick either the 250MB per month or unlimited plans, and you’re online in no time. To keep you from going over your 250MB limit, you’ll get 3 alert messages, at 20%, 10% and 0% to let you know about your usage, and giving you the option to upgrade. Best of all you can swap, stop and start your 3G plans at anytime as you wish, without having to contact customer service. Also note that the iPad is unlocked and can be used with other carriers as you wish. Which version of the iPad do you plan to buy? If your iPad requires service due to the battery’s diminished ability to hold an electrical charge, Apple will replace your iPad for a service fee. Note: Your iPad is not eligible for Battery Replacement Service if the product has been damaged, for example, as result of an accident, liquid contact, disassembly, unauthorized service or unauthorized modifications, or if the product is not operating correctly as a result of a component failure. Please review Apple’s Repair Terms and Conditions for further details. – The Mute button on the iPad was replace with a Screen Rotation Lock button. – Propped open demo versions of the iPad have been found to contain a cutout that looks to be where a camera would go. It maybe something that could be coming in the next version of the iPad. – EBook pricing model for the iBooks app has been speculated. Some have pointed out the pricing model shown in the latest iPad ad aired during the Oscars as pointing out lower prices compared to the Amazon bookstore. Spotlight Search lets you find anything on your iPad in seconds. The Home Screen on the iPad looks and behaves much like the iPhone or iPod touch. With a 4 column grid and a bottom row of 4 pinned apps. The updated player on the iPad lets you watch videos using full HD quality on the big screen using the YouTube app or your synced Movies, TV Shows and Home Videos. Plus a load of accessibility features are packed into the iPad for ease of use. Customization The iPad allows you to customize the background photo used on both its SpringBoard Home Screen and the LockScreen. You can use photos from your Camera or Photo Library. iPad ships with 12 newly updated apps optimized to take advantage of its larger screen and faster processing power. iBooks browse, buy and read books from major book publishers including HarperCollins, Macmillan, Hachette Book Group, Penguin Group and Simon & Schuster. It looks like the iPad will use the ePub format for books, which has no DRM features. Good news for those who already have a bunch of eBooks who will be able to just drag them into iTunes and sync with the iPad. iPad will also support the controversial VoiceOver feature in the iBooks app. This gives users the ability to have the iPad read books to them on the fly using text-to-speech. This feature could lead to issues with book publishers as it already did for Amazon and its Kindle. Safari Flick to scroll, Pinch to zoom, Thubmnail view, in both Landscape and Portrait modes. Mail Looks and works efficiently in Landscape view, allowing you to see a folder listing of your inbox items using a split-screen format. Composing is easier using the big onscreen keyboard. iPad also saves and views attachments like documents and photos automatically. Photos Album stacks open up to thubnmails where you can flip through your pictures, zoom in or out, & play a slideshow. You can even use your iPad as a beautiful digital photo frame while it’s docked or charging. Import photos via Syncing, email, or from a connected camera. YouTube Splits video player on top and lets you browse video thumbnails on the bottom in landscape and you can watch in full screen on the hi-res large display. iPod Browse and play all your music easier in lanscape view by album, song, artist, or genre played over great built in speakers or over headphones (wired or Bluetooth). Album covers can be viewed in full size as well now. Maps Seaech and find anything quickly using the large keyboard and see maps using high quality satellite photos, street view, terrain view, or normal view. Notes Great for writing, now using the large keyboard, and the landscape view rotates to show a list of all your notes as well that you can manage easier now. Calendar Completely revamped for the iPad the Calendar shows your events by day, week, month or list and supports multiple calendars for better organization and separation. Contacts Also completly redesigned, Contacts uses a notebook look and feel to let you create, edit and search for people using a two sided layout that allows you to see the list on the left and contact details on the right. iTunes iTunes on the iPad is very similar to that on the PC, with a familiar look and feel so you can browse for anything you want quickly including music, TV shows, podcasts, and movie rentals. App Store You will see iPad optimized apps on the front page and a list of all other 140,000+ apps that you can browse and download over Wi-Fi or 3G. About 150,000 apps in the iTunes App Store will be compatible with the iPad. The general rule is apps that don’t require an iPhone will work with the iPad, or apps that work on the iPod touch will work on the iPad. iWork will be available for purchase in the iPad App Store including 3 powerful and easy to use productivity apps: Keynote, Pages, and Numbers. The iWork for iPad apps will be sold for $10 each. In the Box iPad plus a USB cable, power adapter and documentation. Syncing The iPad will sync all your content from the App Store, iTunes Store and iBookstore to your iPad and vice-versa to your computers when connected using a USB cable. Buttons Home button is same as iPhone and iPod touch plus the power button on the top and the volume button on the right. The iPad will not be able to tether to the iPhone. First impressions of this device are great but, a glaring exception is enability to transfer contacts in one fell swoop from my iphone to my ipad! Any suggestions? Laurel, You should store everything in Google Contacts, then it’s very simple to sync with any device including the iPad. Compre un íPad e tratado de bajar libros en español y todos los textos y contenidos son en ingles, hay alguna forma de convertirlo o solo los que están disponibñes son en ingles ???? Here in Africa availability is limited, so I got the 16 GB Ipad with no 3G? Now my question is can there be any way to hook up a Wi-Fi Stick to the Ipad through the connector, since I do not have the GSM Tray?! The iPad has been the most exciting piece of technology I haver ever owned. My emails keep reloading. Tell me what I can do to fix this.